Aperture cards are another drawing archiving medium similar to the microfiche which have been used by many companies to store their technical drawings and plans mainly by engineering, civil architects and manufacturing companies. The aperture card normally holds a 35mm microfilm frame as one drawing. Aperture card scanning provides disaster recovery as well as electronic archive of the legacy drawings and documents. Firstly the images from the aperture cards are scanned in and viewed on-screen. These are checked by our quality control department to ensure the final scanned images are as clear as possible and any image enhancement work is done to bring out the highest possible quality from the aperture card image so it will be suitable for both viewing on-screen and for printing to scale afterwards. 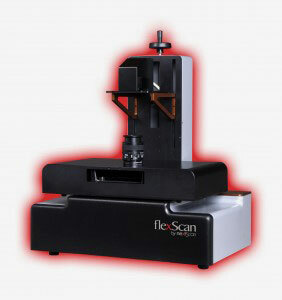 Once this scanning stage is complete, the scanned images from the cards are converted into whichever format you require such as TIFF, PDF or JPEG. The aperture cards are then indexed exactly as required by the client. Now that we have moved into a digital age it makes more sense to have all drawings available electronically for ease of access and secure backup. That's where Aperture card scanning comes in. By scanning and digitising aperture cards into a usable, convenient electronic format such as TIFF, PDF, JPEG or any other preferred electronic file type as this offers many advantages.Aperture cards are often stored away in files or drawers and gather up over time as more drawings are archived this way. They are similar to microfilm and microfiche they are not the most convenient method of storage and finding the one aperture card you require among these is not always straight forward! The scanned images are written to CD and any of the images contained on the disk can be copied to a computer, a network and printed or viewed in any manner they prefer. We can also provide a user friendly image viewer software which holds all of the scanned images, includes text searchable features and a simple, user friendly interface. No more searching through stacks of aperture cards to find that one technical drawing. Documents kept on the aperture cards are safely backed up electronically. Files can be put on the local network to make them accessible to relevant departments and associated staff. These documents can be accessed off-site securely online and also emailed, printed or copied if required. Damage to any cards will mean an electronic copy is still available.